My old printer, which I got before leaving for college in 2005, has been on its last legs for quite some time, but we printed so infrequently we just dealt with it when we had to. That ends now. 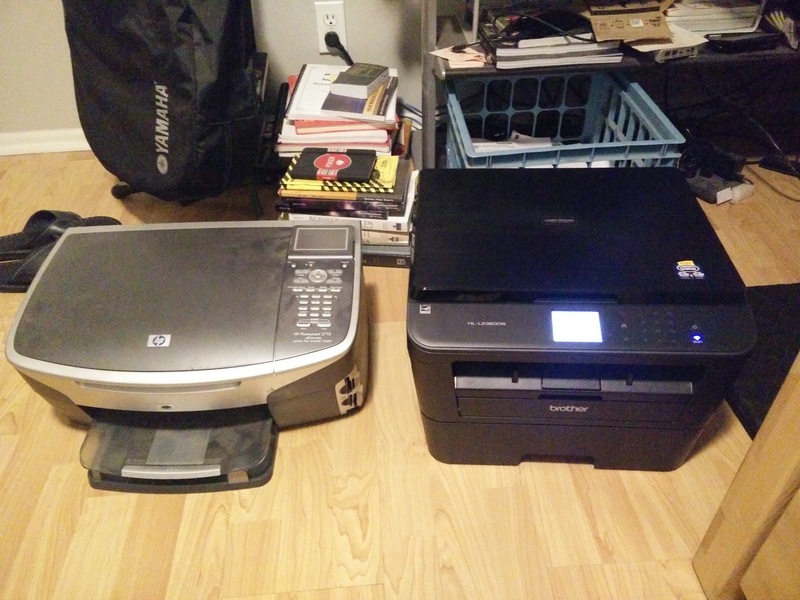 After seeing the Brother laser printers and all-in-ones praised on the blogs I read, I decided it was time to get one. I planned to put it on my Christmas list, but it appeared at an all-time low price of $80 for (early) Black Friday at Best Buy. I actually bought it at Amazon, since they matched the price temporarily. At the time of publishing it is still $80 at Best Buy. 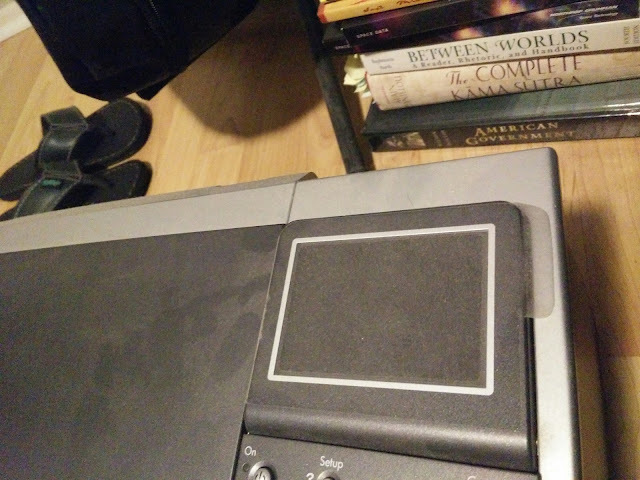 If you were looking closely at the photo above you might have noticed that throughout 10+ years of ownership, I never removed the protective film on the old printer's screen. Yes, I am that guy.